Scientists gave the rebuilt Alvin submarine two thumbs up after field-testing the nation’s only human-occupied deep-sea research vehicle for the first time after a major $42-million overhaul that dramatically upgraded the sub’s capabilities. “We’ve tested the core functions of the new Alvin, and we believe we have a great new tool for the scientific community,” said Harvard University scientist Peter Girguis. 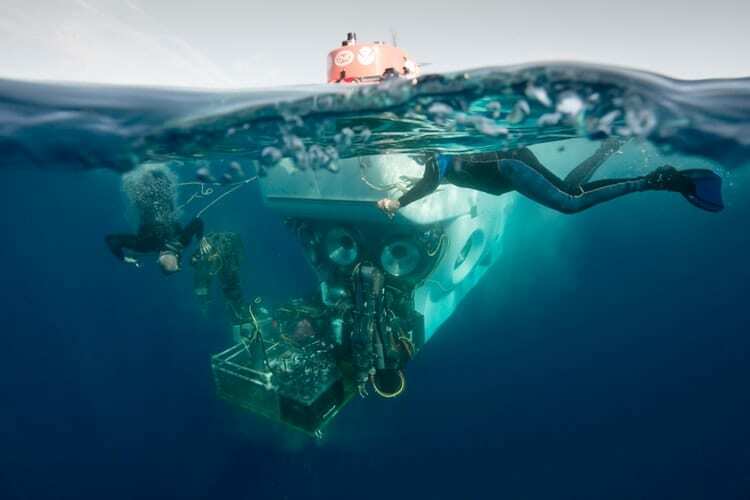 He was chief scientist of an expedition that ended March 26 in which scientists and pilots put the new sub through its paces in a series of dives under real field conditions. Their objectives were to assess the upgraded sub’s new capabilities, to learn how to use them to the best advantage, to identify bugs, and to troubleshoot them. 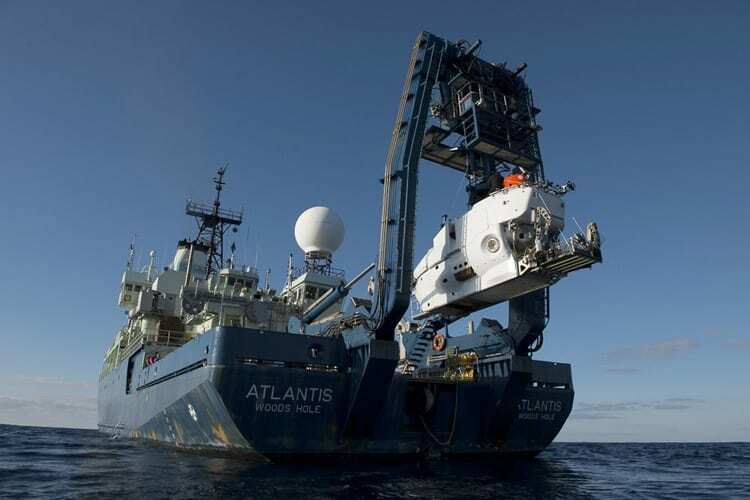 The Alvin upgrade was funded by the National Science Foundation (NSF) and augmented with some private support from Woods Hole Oceanographic Institution (WHOI). In Jan. 2014, its upgrade was complete and the sub was certified by the U.S. Navy to return to operations. “Alvin is functionally a new vehicle, and, before returning it to a full research schedule, we wanted to test the vehicle, figure out how best to use its new features, and work out any bugs in order to make Alvin‘s transfer back to science operations more seamless,” said Girguis. He is chair of the Deep Submergence Science Committee, the group of scientists from universities and organizations across the country who advise on the use of vehicles operated by the National Deep Submergence Facility at WHOI. More than three years after its last research mission, the U.S. Navy-owned Alvin returned to the scene of its last scientific dives in the Gulf of Mexico, as a substantially different vehicle. In a series of dives, pilots and scientists tested the new automatic command-and control functions, the sub’s new battery capacity, and high-definition cameras, and evaluated its maneuverability with the new forward lateral thruster. Pilots and scientists also tested the sub’s manipulator arms, whose shoulder joints were given more flexibility, extending their forward reach from 2.3 to 3 meters (93 to 118 inches) and expanding their coverage area from about 100 to 140 degrees. Scientists said that operations to grab, scoop, and core sediment and biological samples were enhanced by the two additional forward-looking viewports. The new sub has five, rather than three, viewports; the three forward-facing viewports are now 7, rather than 5, inches in diameter and have overlapping fields of view, assisting communication between scientists and the pilot operating the sub’s manipulators. One of the greatest milestones during the Alvin upgrade project was the forging of a new titanium personnel sphere. The new sphere has a 6.5-foot diameter compared with 6 feet in the old Alvin, increasing its volume by 18 percent. “It’s got everything we wanted in terms of ergonomics,” said George Luther, a University of Delaware scientist who served on the Replacement Human-Occupied-Vehicle Committee, which was established to advise the NSF on a new sub for the scientific community. “I couldn’t believe how much more room it felt like it had,” he said after his March 19 dive. As for Alvin‘s new high-definition imaging systems, “we were thrilled right off the bat—the imagery is undoubtedly better than we had before,” said Chris German, outgoing chief scientist for the National Deep Submergence Facility (NDSF) at WHOI. But the research team immediately launched lighting experiments to optimize those imaging capabilities. They rewired two additional lights in front of the sub’s observer viewports, illuminating Alvin’s prime “work areas”—where the viewing fields of the pilot and scientists overlap, within reach of Alvin’s port and starboard manipulators. They also added another light on the elbow of Alvin’s manipulator arm, which they can move to spotlight any areas or items of particular interest. The experiments proved successful on subsequent dives. The expedition assessed the research vessel Atlantis’s system to launch and recover the new, heavier Alvin, including the ship’s A-frame, the gargantuan lift that hoists the sub off the deck and moves it off the stern, which was also significantly overhauled. The expedition was designed to uncover technical problems, and, not unexpectedly, it did. As the research team examined the flood of video recordings from Alvin‘s first three dives, they discovered gaps in the data stream. They conducted an intensive effort to troubleshoot the problem. By the end of the cruise, they believe they identified the cause of the problem and are working on both temporary and long-term ways to fix it. On what proved to be the expedition’s final dive March 23, a mechanical device failed in the sub’s carbon dioxide scrubber, which helps purify air in the sphere, and the mission was aborted. With only one working scrubber, but no spare, the sub could not continue diving before returning to port Wednesday in Gulfport, Miss. “It’s ironic that in this complex vehicle, it is a relatively simple mechanical component that gave out,” said German.